PARTNER NEWS: NXP has announced a toolkit designed to make it easy for iOS 11 developers to take advantage of the NFC tag reading capabilities that are now supported by iPhones and unlock “the potential to now connect billions of consumer and industrial products to the Internet of Things (IoT)”. “As co-inventor of NFC technology, NXP invites Apple developers to join us in the NFC universe as we drive solutions that deliver on the promise of the IoT,” says Alexander Rensink, business segment manager for NXP’s secure identification solutions business. EINDHOVEN, The Netherlands, Sept. 21, 2017 — NXP Semiconductors N.V. (NASDAQ:NXPI), co-inventor of NFC technology, today introduced a new toolkit for NFC tagging ICs with iOS support, which unlocks the potential to now connect billions of consumer and industrial products to the Internet of Things (IoT). With Apple®’s announcement, earlier this summer, to support NFC read capabilities for NFC Forum-compliant tags, NXP’s portfolio of advanced NFC tagging chips can now be designed into solutions used with iOS 11 on iPhone® 7, iPhone 7 Plus, iPhone 8, iPhone 8 Plus and iPhone X models. 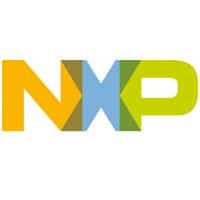 To accelerate and simplify development, NXP offers iOS developers a full tool suite of NFC hardware and software solutions — for developers to explore the benefits in various markets including consumer electronics, smart home, food and beverage, fashion, cosmetics, pharmaceuticals, gaming, toy industries and more. “As co-inventor of NFC technology, NXP invites Apple developers to join us in the NFC universe as we drive solutions that deliver on the promise of the IoT — all by enabling consumers to use their smartphones as NFC readers that interact with NFC tags,” said Alexander Rensink, business segment manager, secure identification solutions business at NXP.